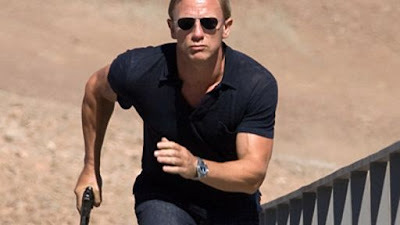 With the recent news of Bond 25's delay from Valentine's Day 2020 to April 8th comes an explanation as to why. With a start date primed for this April, after that also was bumped a few weeks, a new writer is coming aboard to give director Cary Jo Fukunaga a much-needed assist in overhauling the script. According to ThePlaylist, Contagion and The Bourne Ultimatum writer Scott Z. Burns will rewrite the screenplay by Bond vets, Neal Purvis and Robert Wade. Sure, the deadline is coming down to the wire on this, but the addition of Burns can only be a good thing. He's probably best known for his many collaborations with Steven Soderbergh, but Burns has earned quite a reputation around Hollywood as a well-known script doctor, doing work on Rogue One and Ocean's 12 among many others. He recently made his directorial debut at Sundance with the CIA torture drama The Report, which I've been saying is bound for the awards season. He also wrote last year's sailing drama The Mercy, which I also had very high praise for. Burns has some heavy lifting ahead of him. Purvis and Wade's script was always just a fallback option in case Danny Boyle and John Hodge's fell through. Well, it did. Boyle left the film, reportedly because of clashes with star Daniel Craig over the story, and producers were just sorta left with what they had. But nobody was really happy with the story Purvis and Wade came up with, which is why they've been pursuing Burns' help in coming up with something new.